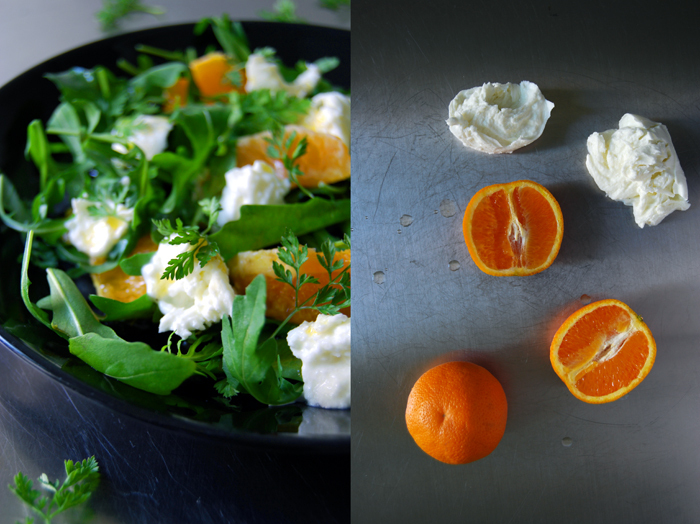 Mozzarella di Bufala, as creamy as a fresh Burrata, Italian oranges dripping with sweet juices, crunchy rucola (arugula) leaves, delicate chervil (Kerbel in German) and a fruity vinaigrette! 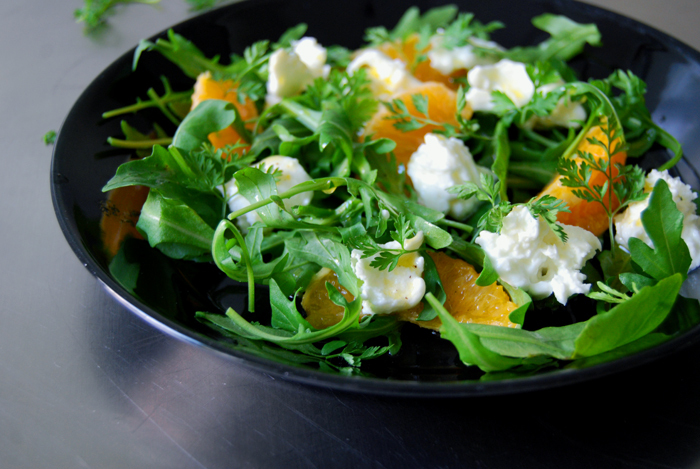 This salad is luscious and fresh, a perfect combination of green, fruity and milky flavours. It’s a light culinary break while I’m bustling in my kitchen on the weekend, my little weekly feast when our meals become a bit more lavish and sumptuous. We spend even more time sitting at the table extending our dinners with some cheese, fruit and chutney before we finish it off with dessert. Good food and company, some music, a nice bottle of wine, it’s so easy to celebrate those moments when everything feels just right! The end of the week is also my favourite time to bake and to fill the air with the smell of fresh bread, cinnamony cakes and cookies, that’s my kind of wellness treat. So, to enjoy my numerous kitchen products, I keep my breakfast and lunch lighter than normally but not necessarily more simple and spartan. I just cut down on a few delicate ingredients, like in this salad. 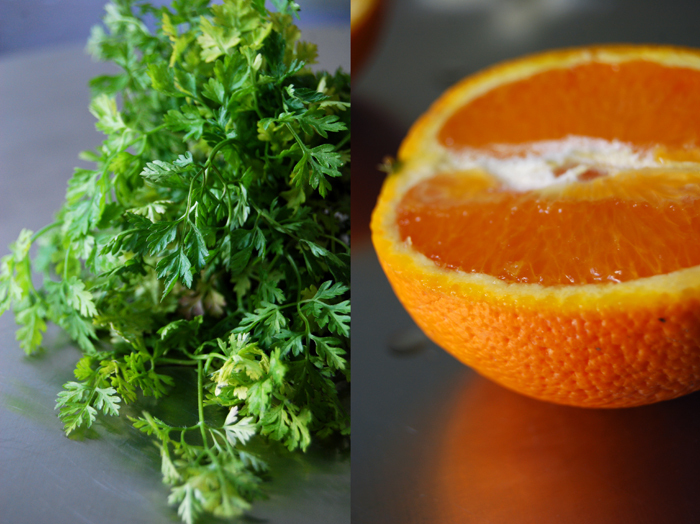 Whisk the olive oil, vinegar and orange juice and season with salt and pepper to taste. 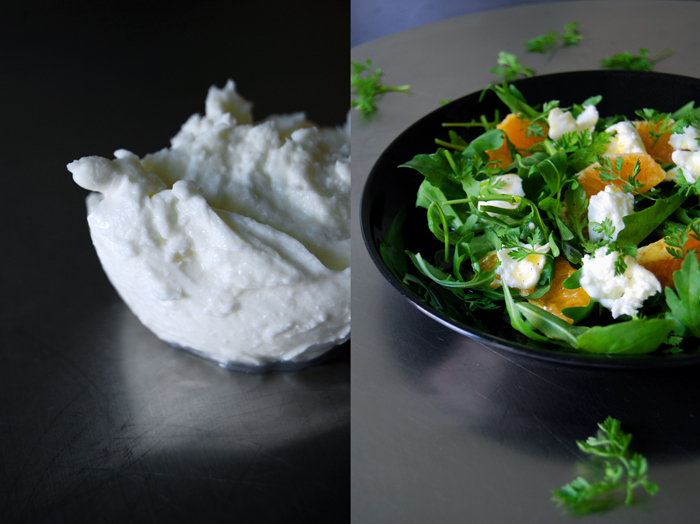 Arrange the rucola, orange and mozzarella on plates and sprinkle with dressing and chervil. This salad is fantastic! 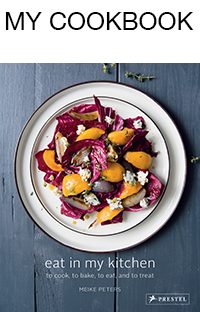 I made this salad and combined it with your Turkish pide with olive tapenade and it was a stunning combination and yet very easy and quick to prepare. 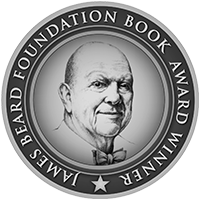 Thank you for sharing all those delicious recipes! I enjoy your blog a lot. This is beautiful Meiki!! I can’t believe I’ve only just fond your site! What an absolutely lovely salad. I hope you enjoyed your other kitchen projects this weekend! Thank you Liz! I’m enjoying all of them! 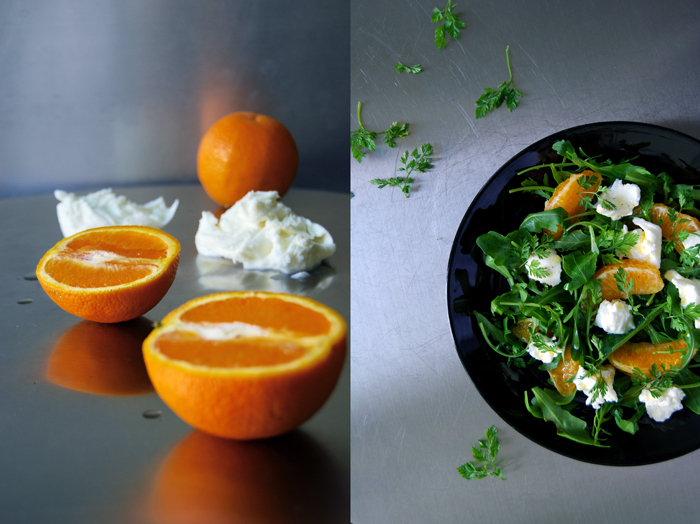 Love this beautiful salad Meike!